Meet the new year, same as the old year -- at least in terms of what technology niches are most likely to see the largest salary increases for software developers. Yes, for the second year in a row, that honor goes to mobile developers, according to data taken from a recent report from high-tech careers firm Robert Half Technology Inc. and a report from sister company The Creative Group. "Big Data and mobile initiatives are key focus areas for companies in 2015 and, as such, talented technology and creative professionals are in high demand," said company exec Deborah Bottineau in a statement about the reports today. "Skilled candidates are often receiving multiple offers, so firms should be prepared to negotiate competitive compensation and benefits packages that rival what competing firms are offering in order to secure skilled talent." The company said more digital investments such as data-based decision-making initiatives and interactive advertising campaigns were fueling the continuing demand for Big Data and mobile developers. The "continuing" aspect to that demand is exemplified by last year's Robert Half Technology report, which listed "mobile apps developer" as the No. 1 position being added to dev teams in 2014. [Click on image for larger view.] 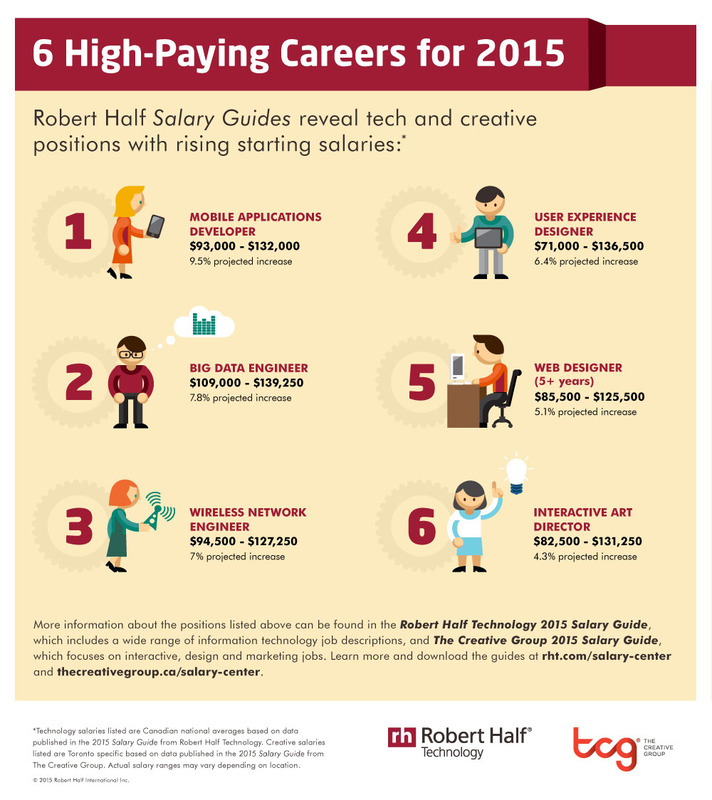 The Robert Half Technology infographic on best development careers for 2015. "Not only do we continue to see massive growth in the variety of mobile devices, operating systems and user interfaces, but the bring-your-own-device (BYOD) movement has more than doubled the mobile workforce," the company said last year. 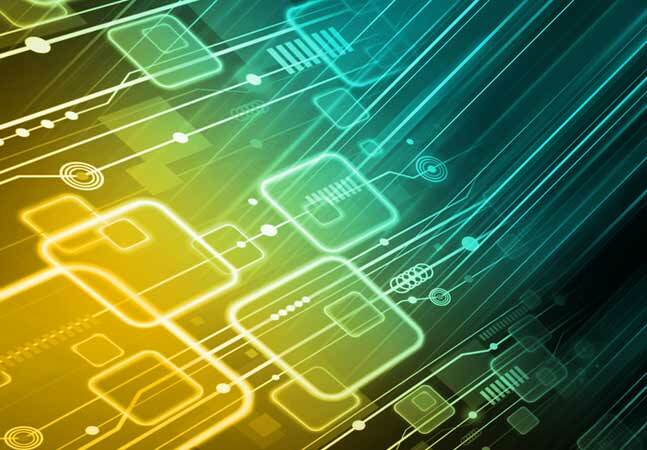 "As this trend continues to grow, the need for mobile applications developers will, too." 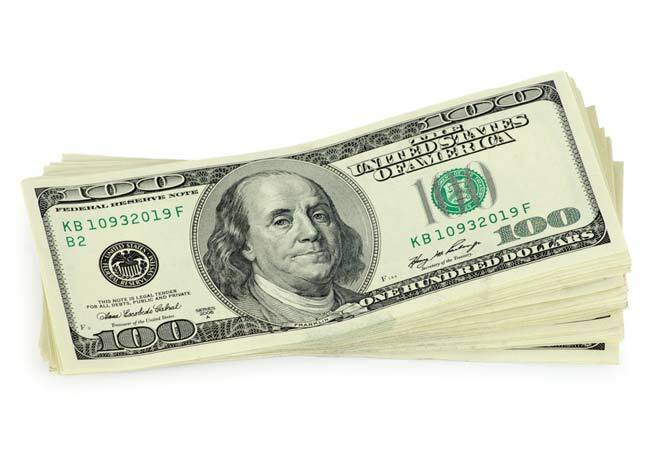 The firm expected average starting salaries to increase 7.8 percent over 2014. For 2015, the story is similar. "The need for skilled professionals who can develop applications for tablets and smartphones will only intensify as companies keep pace with the growing mobile market," the company said in a statement. "Similar to 2014, experienced mobile applications developers can expect to see the largest increase (9.5 percent) in starting compensation of any tech position listed in the Salary Guide, earning between $93,000 and $132,000, on average. 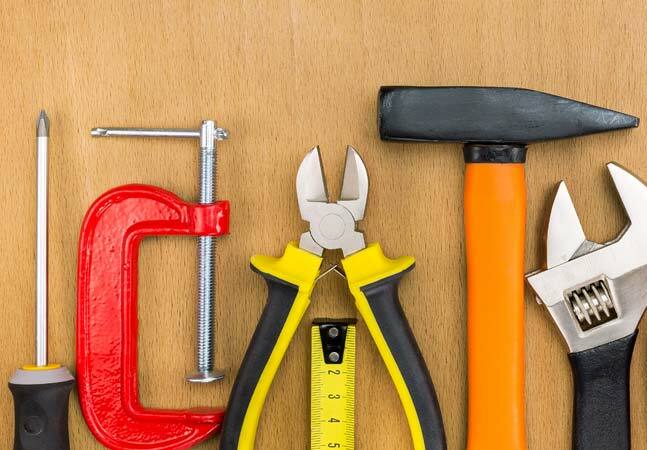 The other top job, Big Data developer, was big last year, too, but related job functionalities were broken down into business intelligence (BI) analyst and data architect, which took positions No. 3 and No. 4 in last year's top five (behind No. 2, "software developer/software engineer"). This year, "Big Data engineer" is No. 2, behind "mobile applications developer." "As organizations of all types launch or advance Big Data initiatives, many will look to hire experienced engineers who can communicate with business users and data scientists, and translate business objectives into data processing workflows," the company said. "Big Data engineers can anticipate a 9.3 percent boost in starting pay in 2015, with average salaries ranging from $119,250 to $168,250." 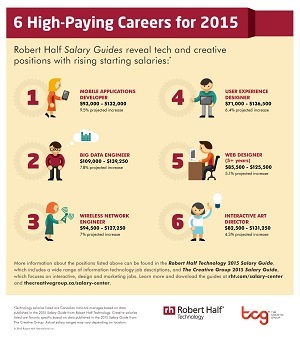 The remainder of the "6 High-Paying Careers For 2015" as culled by Robert Half Technology from its salary surveys are wireless network engineer, UX designer, Web designer with more than five years of experience and interactive director.